A boy with autism has been orphaned after three of his family members were killed in a fire that engulfed an apartment building in Longueuil, Que. 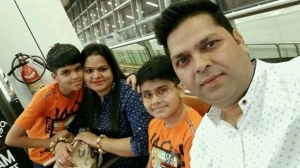 The fire, which broke out during the early hours of Feb. 9, claimed the lives of the boy’s parents, both in their 40s, and his grandmother, who was in her 60s. For more, visit CTV Montreal. The City of Longueuil sits on the south shore of the Saint Lawrence River, directly across from Montreal. 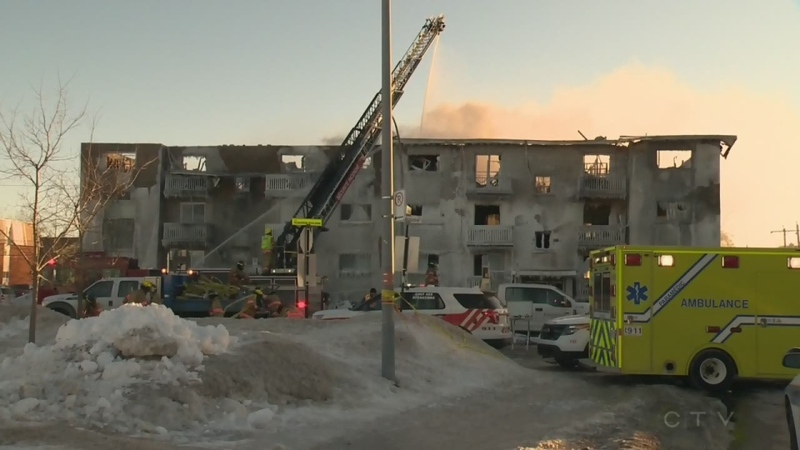 According to CTV Montreal, witnesses described seeing the boy jump from a third floor balcony before the building was completely engulfed in flames. Police say the boy is 11 or 12 and nonverbal. He is currently in hospital and will be released into the care of other family members who did not live in the building. “We’re going to make sure he has all the resources and all the needs he has to have,” Longueuil police spokesperson Ghislain Vallieres told CTV Montreal on Monday. Ten others were hospitalized for burns and fractures sustained while escaping the building, according to CTV Montreal. The Canadian Red Cross has also helped out 13 families who’ve been displaced by the fire. “We're going to work with the municipality and with the city and with all the organizations to help them to find new lodging,” said Carl Boisvert, a spokesperson for the organization’s Quebec division. Janick Laroche and his family are among those who escaped the fire just in time. Working in strong winds and temperatures that felt like -20 degrees Celsius, firefighters battled the blaze with water from their hoses freezing on contact with the ground. It took seven hours to completely suppress the fire. The 16-unit building was so damaged that it has since been reduced to rubble. Police say the fire is not being considered suspicious and was likely started by cooking oil left on a stove in the building’s basement. Some residents who spoke to CTV Montreal said they didn’t hear a fire alarm. But the building’s superintendent said that the fire alarms are checked annually and were working at the time of the blaze. Anyone wanting to make donations to help the victims is being urged to contact the City of Longueuil at 450-463-7311 or the local charitable group L'Entraide Chez Nous.